Smart bulbs are a great feature for any smart home. 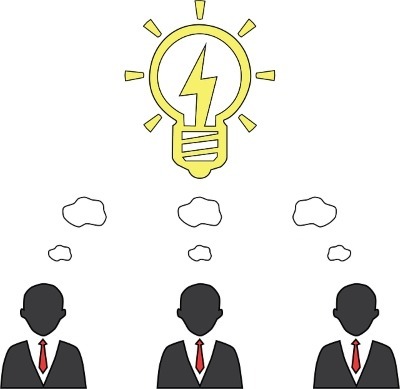 People may find the concept of intelligent light bulbs strange, but the benefits are actually very useful. Their colour-changing capabilities mean you can tweak each light in your home to the right tone. The ability to toggle lights via an app seems lazy at first – why not stand up and press the switch yourself? Once you’re away from home and can turn off lights you left on, or turn on lights to prevent burglars, you come to realise it’s more than just a frivolous feature. Two of the best smart bulbs are Philip Hue and Syska. These both share a lot of common features, so whichever one you get, you’ll receive a stellar smart bulb that ticks all the basics. The little nuances between each, however, will decide which one is best for you. So, where does each bulb differ, and which is the better choice for your home? Philips Hue is a great choice if you want superior functionality. The Hue sports sixteen-million shades of colour, which rivals Syska’s claim of three-million shades. It also features “colour recipes” that tweak your light bulb’s shades to specific presets. You can have the bulb in your bedroom light up with a bright sunlight colour to help you wake up or have a soft dimmed shade when it’s time to relax. The Hue has a great deal of colour customization that allows you to program your ideal home. By using the app on your phone, you can input a photograph and the Hue will automatically change the colourscape to match the dominant colours in the picture. If you like a specific colour theme, you can save it and store it for later use. While Syska bulbs can respond to music and heartbeats, the Hue takes it one step further. You can use third-party apps to enhance your music, movies, and games with lighting that changes depending on what is happening. Philips Hue comes in at a high price, but every penny is worth it. The Philips Hue is a reliable smart bulb solution that won’t leave you frustrated or in the dark. If you’re not afraid to pay extra to ensure your house is properly equipped, don’t shy away from the Hue. One of the main appeals of the Syska bulbs is its price point. Unlike the Phillip Hue which can go for $100 for a starter kit, Syska bulbs are sold at around $25 for a bulb. This makes them the perfect choice for someone who wants smart bulbs that are friendly to the budget. Part of the reason that the Syska comes in at a cheap price is because it works off of a 2.4GHz router. 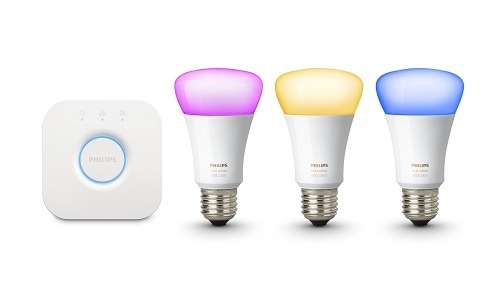 The Philips Hue requires a bridge to connect to, but if you have a Wi-Fi network set up in your home, you already have everything you need for a Syska bulb! Simply plug them in and connect via the app to use the bulbs. 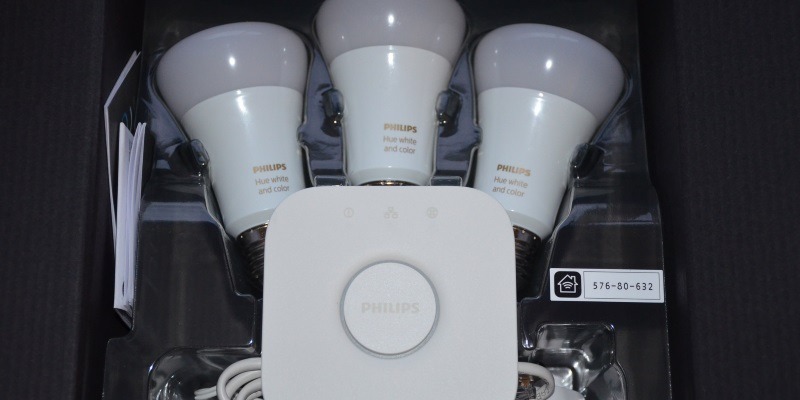 The Philips Hue and the Syska bulbs both share a lot of features. They both have customizable colours, have alarms that wake you up using light alone, can be toggled with an app, are compatible with Google Home and Amazon Alexa, and fit into bayonet light sockets. The main question is your budget. 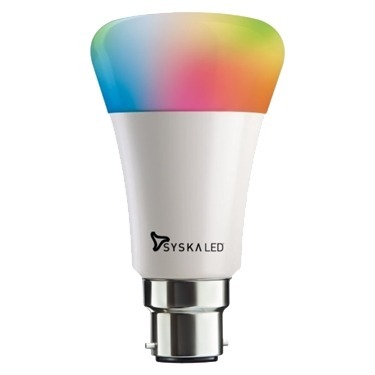 If you’re not so keen on splashing out on smart bulbs, try the Syska. These don’t require additional bridges and skimp a little on the features in order to cut down on the cost. If you want the utmost best in features and reliability and are willing to pay for it, the Hue is the better choice. While the Syska and Hue share very similar features, they are intended for different audiences. Now that you know which one suits you best, you can equip your home with smart lights under your own terms. Which do you think would suit you best? Let us know below.